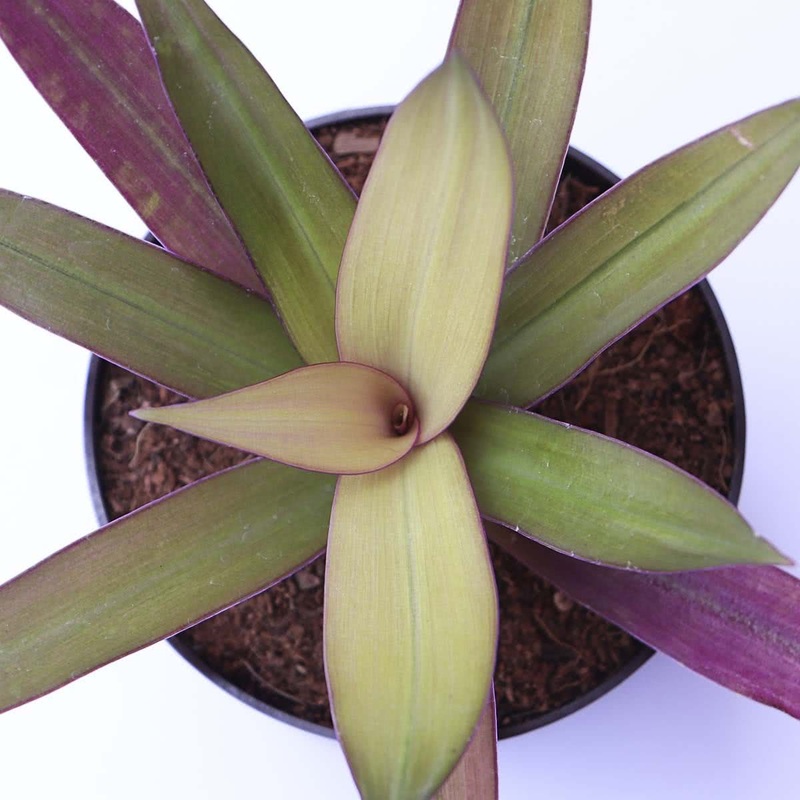 Plant Description: Rhoeo Red is a trailing herb with succulent stem, its leaves are crowded, grass-like flat, stiff, pointed, with the dark green upper surface, and purple to red from the bottom. The plant can be used to make a dense groundcover, as houseplant or shade gardens, hanging baskets, & green walls. It is also useful for covering rockeries, edging or carpet bedding. 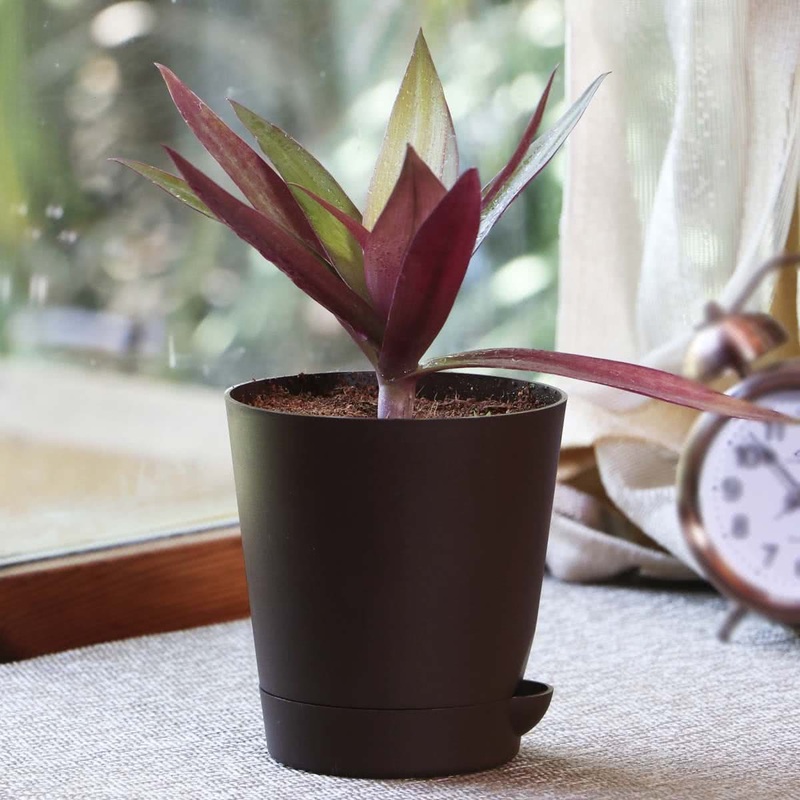 Potting/Transplanting: Transplant the Rhoeo Red saplings in a pot along with root-ball of the original soil. 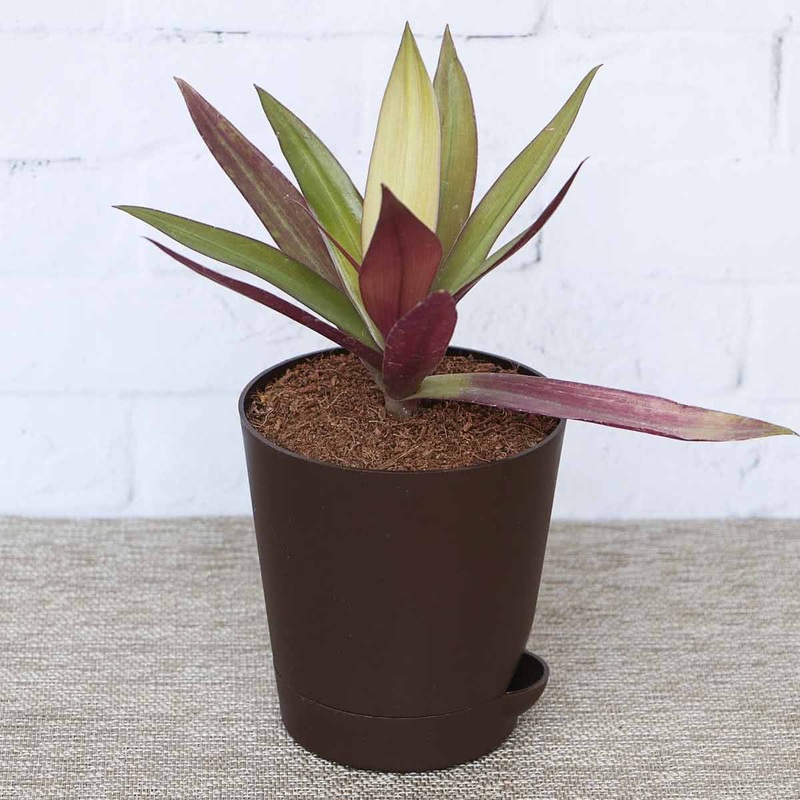 Carefully place the plant in the middle of the container & cover the roots completely with remaining soil. Humidity: Rhoeo Red likes hot & humid climate. Dense grass like short, red, green leaves.